Donald Trump sure does think a lot of himself. He knows a lot of things, and he knows that he knows a lot of things. This ridiculous quote serves to prove his arrogance. "I know words, I have the best words." Okay Donald. 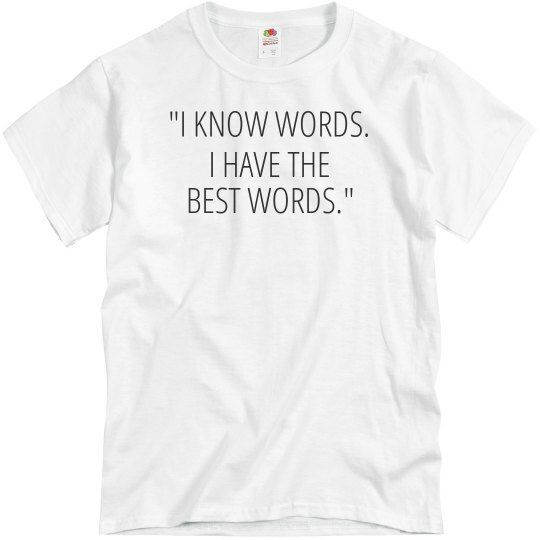 Custom Text Front: I HAVE THE | "I KNOW WORDS. | BEST WORDS."